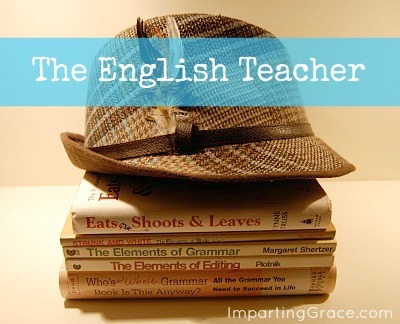 It's back-to-school time, and I've decided it's time for me to put my English teacher hat back on. Today I'm going to explain a point of grammar that is troublesome for many people: the use of its and it's. I'm amazed at how many good writers have problems with this one. Lately there seems to be a veritable epidemic of wrong-its-itis. I've spent some time thinking about this, and I think I understand why this one gives us such trouble. Good writers know that, in order to show that a word is possessive, you must add an apostrophe plus s to the word. The use of the apostrophe DOES NOT, however, apply to personal pronouns. Pronouns are wonderfully useful words, but regular rules of grammar don't necessarily apply to them. To make personal pronouns possessive, sometimes you use a completely different word, and sometimes you add an s--but never an apostrophe. See? There's really no rhyme or reason to how possessives of pronouns are formed; a writer must simply learn the possessive form. Now here's the funny part. When reading the work of good writers, you never see errors with the possessive forms of you or her. No good writer ever writes "This package is your's" or "That bike is her's." Those pronouns don't give us any trouble. So why is its so tricky? I think it's because the word it's is in fact a legitimate word. In fact, we use this word quite often. But the word it's is a contraction of the two words it is. That is the ONLY correct usage of the word it's. 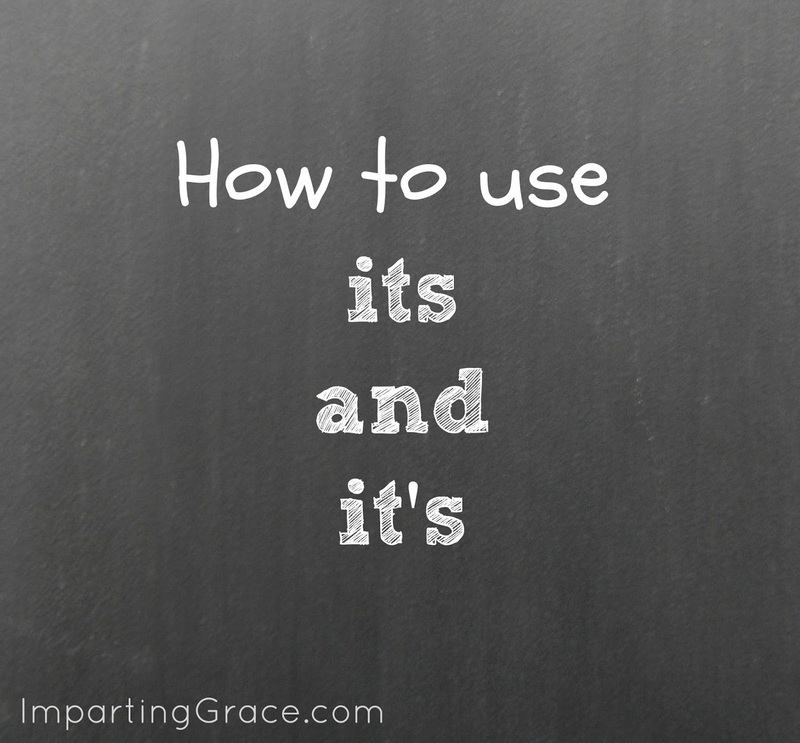 So the simple rule is that, if you're not sure whether to use its or it's, you should simply replace the its/it's in the sentence with the words it is. Do you really mean to say "it is"? If so, use it's. But if you mean to say that something belongs to it, then you must not use the apostrophe. Do you see? These sentences are all wrong. All these sentences should use its, NOT it's. It's means it is. That is all it can ever mean. Never use it unless you mean "it is." Its is the possessive form of it; it means belonging to it. (It's or Its) going to be a hot day. That team lost (it's or its) best player. (It's or Its) not a problem. The horse lost (it's or its) shoe. If you answered "it's" for #1 and #3 and "its" for #2 and #4, you've got it! Now, will you do me a favor? Will you leave me a comment and let me know what points of English grammar you'd like for me to explain? I really want this series to be helpful to you. If you have a specific question and you need an answer right away, email me at RichellaP (at) Gmail (dot) com; I'll be glad to answer. If you're new here and you're wondering why on earth I'm talking about English grammar, you might want to read this post. Your lessons are always so helpful, thank you. I don't know what grammer lesson I need until you give it and I realize I was doing it wrong but one thing that bugs me that I see a lot is people relying on spell check and not realizing that it's the wrong word or words. Oh, blessed are the English teachers. I don't know the rule(s) about using "which" or "that." And for the life of me I cannot think of a good example! They often seem interchangeable but surely there is a rule. Yay! I love the English teacher! Maybe you went over this already, but apostrophes in general have become a wide-spread problem. I see them all over the place used to make a word plural (which, of course, they don't). Bob "I hate public speaking." Sue "Oh yes, I know that that is an issue for you." Is the use of two "thats" correct? Or should there just be one? It seems clumsy to say it twice, but the second "that" is taking the place of "public speaking". Is there actually a rule about this? I would LOVE to see you explain the em dash! Dashes are beautiful additions to writing--I love them! :D But no one knows how to use them, so I'm all alone. I love this series and am glad to see it back on your blog. I'm terrible at grammar and spelling but my mom taught me your trick when I was a kid, so I know I do today's lesson correctly. The improper use of myself bothers me. Thank you all for the great comments and questions! These will provide the subjects for future grammar posts. I'll answer Julia's question here. Julia, you're describing joint possession or compound possession. If you're using two names, you just use one apostrophe plus s if the two people own something together, such as "Jack and Richella's house" (the house belongs to both of us). You use an apostrophe + s after each name if you're talking about each of us owning something of our own, such as "Jack's and Richella's hair" (we each have our own hair). In your question, which uses a pronoun, you'd use the possessive form of the noun AND the possessive form of the pronoun. It's usually polite to say the other person's name first and then the possessive "my." So, in your example, you'd say "That's So-and-So's and my item." Please discuss "who" and "whom". Todays lesson was great. Thanks for the great explanation to my question, Richella! That totally makes sense! I'm sure I've probably done the 's on a pronoun before. Like, this - The cow has its horns hung in the fence. Is that correct? (Weird sentence, right?) I'm sure I've put an apostrophe in that before. Thanks for the lesson. Apparently, I needed it. Thank you so much for this clarification. I admit my enemy in the world of grammar is when to use a comma. I have never been able to grasp when it is appropriate to use them! That was a lovely lesson with an excellent learning-check quiz. Delightful! I do have one caveat: never use the “apostrophe s” to form the possessive with pronouns EXCEPT indefinite pronouns such as "other's" and "one's", etc. Ok, first, you are much smarter than I am (or should i say "me")... I should just stop typing now. But I won't, how about lay or lie, laying, lying...who knows the right one to use, or how to spell any of them! I always love your grammer lessons, thanks you for posting them. I have always wondered if it's really correct to say "for free" - dosen't "for" imply you paid in some way? Then it would not be "free", right? The burning question. Serious, this has always bothered me! Thanks again! !